Snap(shot) Judgements are posts that will appear with no real regularity. It’s primarily a way for us to get thoughts and photos up as soon as possible, especially when we have no plan to write a feature-length column on the subject. 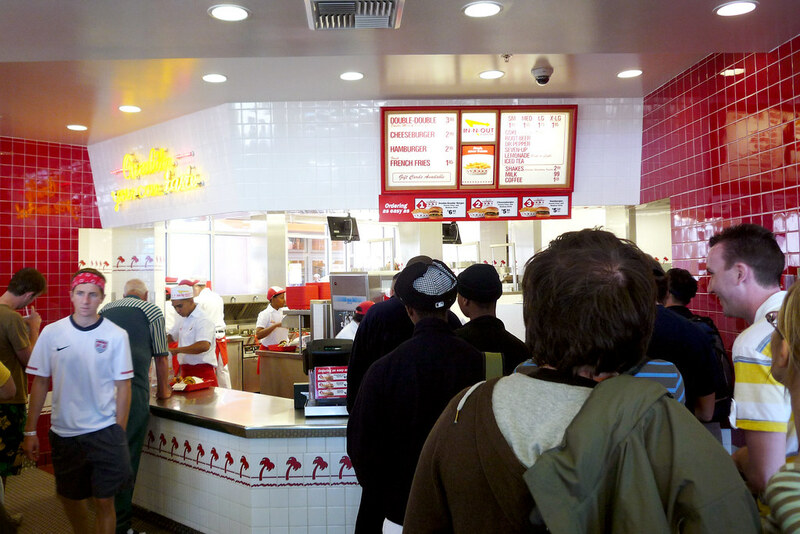 Here, Gary makes the requisite trip to In-N-Out Burger while out on the west coast. It was fait accompli when planning out this Bay Area trip that we’d be visiting In-N-Out Burger – after all, it’s not like any of us live near one. Not unless you consider the closest one in Centerville, UT to be anywhere close to the Northeast. There must have been a lot of people with the same idea at the location in San Francisco’s touristy Fisherman’s Wharf (which also happens to be the only location in the city) because the line was out the door when we went. But you know what? We were there already and we would not be denied, long line and idiot tourists be damned. After ordering and then receiving our orders, we proceeded to make quick work on our burgers. It was good but I remember liking it more the first few times I’ve had it. I guess I’ve been spoiled by all the times I’ve had the Shake Shack burgers in the years since my last visit to In-N-Out. Now if they opened up one in New York City, I could do a better job doing a taste comparison – just putting that out there, In-N-Out. Ah – my favorite…the double double, no onions. Probably not the best burger, but certainly one of my favorites.